Mash so creamy you can sculpt it. But what about true, creamy, properly posh mashed potato? Guillaume's "Paris mash", to be precise. 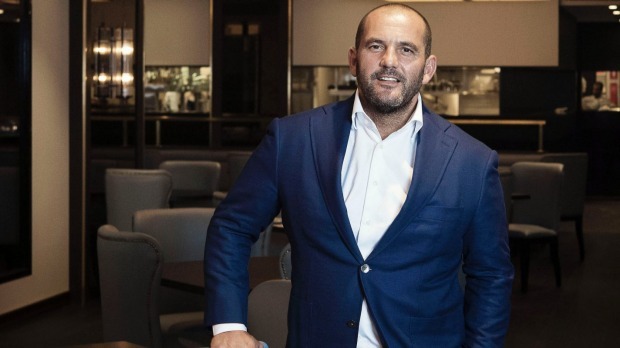 "I called it Paris mash because when I first moved to Australia, my mum would send me a copies of the tabloid magazine, Paris Match so I would know what was going on in my home town," he says. "It morphed into a dish. So when I went to Port Douglas and saw 'Paris mash' on the menu at one of the restaurants there, I asked the chef if his mum too, sent him trashy gossip magazines," he joked, taking a dig at other establishments cashing in on what has become one of his signature dishes. We're at Halcyon House. 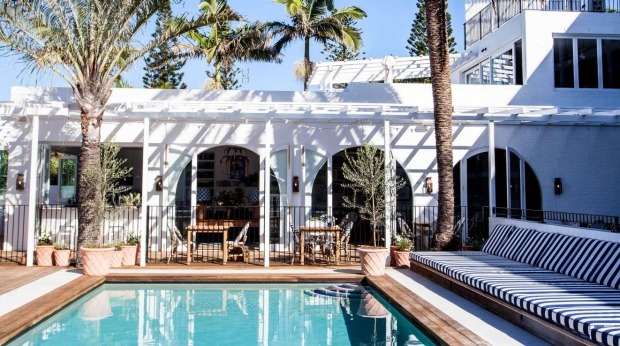 A boutique motel on the northern NSW coast that lives up to its glory-filled name. Guillaume is hosting a Gourmet Weekend of cooking lessons, lunches and dinners, for guests who want more than a lie around the pool, and we have just learnt to make a sublime trout gravalax, kingfish ceviche and now, his Paris mash (there's another event coming up on June 30 if this tickles your fancy). "The trick is to get as much water out of the mash as possible," he says while moving around the makeshift kitchen. "That's why we boil the potatoes whole." This is news to me, as I have always peeled, then boiled. But Guillaume boils whole with skin on, then peels, which obviously means less water gets inside the potato. The less water, the more creamy. Halcyon house: Not a bad spot for a cooking class. The next secret weapon is a drum sieve. The potatoes go through a mouli (which you hand wind as the first stage of mashing), then he passes them through the fine mesh until everything is smoothly pasted down into the saucepan. He says this step is imperative and he'd rather we bought a sieve over a mouli. I'm already running to the store in my head for the no-lumpy-mash-goodness I know will ensue. Thirdly, it's all about butter. "We go through so much butter at the restaurant, I'm scared to tell you how much we use," he says. That's my kind of mashed potato. And then, dry dry dry! He stirs the potato until all the water comes out and will even put it back on a very low heat to get the moisture out. I can't believe I've been missing this golden nugget of information in all my cooking years. Here, the recipe, in case you're up for a bit of creamy potato love in your life. Place the unpeeled potatoes in a large saucepan and cover with cold water. Add a pinch of salt and bring to the boil, then reduce the heat and simmer for 25-30 minutes (test the potatoes by piercing them with a sharp knife. If they are ready the blade will come out clean with no residue). Drain well. Peel the potatoes while they are still hot, using a tea towel to protect your hands. Pass the peeled potatoes through a mouli and then a drum sieve and into a saucepan. Use a wooden spoon to stir the mash until all the moisture is removed (you want the potato to be dry to the touch). Bring the milk to the boil, then reduce the heat to a simmer. 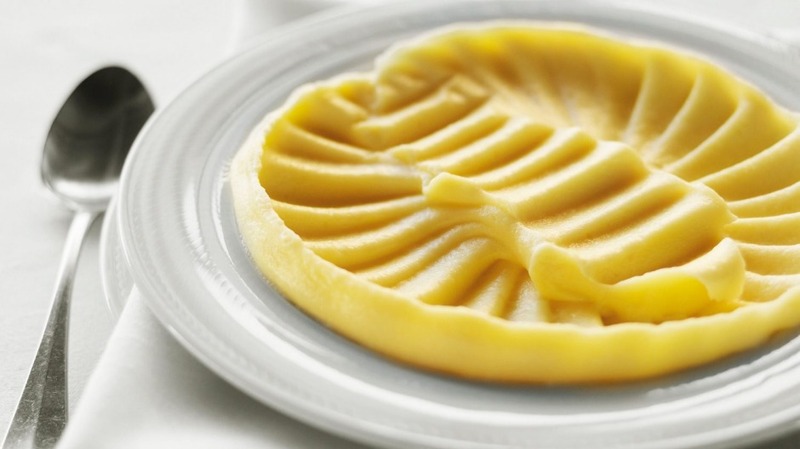 Place the mashed potato over a low heat and add 50g of butter, stirring until combined. Add 50ml of milk and stir until combined. Repeat until all of the butter and milk has been added and the mash is light and creamy. Season with salt to taste. The writer attended Gourmet Weekend courtesy of Halcyon House.